It seems that everyone is currently carving, decorating or eating pumpkins – which makes perfect sense with Halloween coming up this Thursday. While browsing Pinterest for a few ideas of pretty Halloween decor that don’t leave us with nightmares of blood and skeletons, we came across quite a few cute options that all involved pumpkins, some paint and a few other extras. 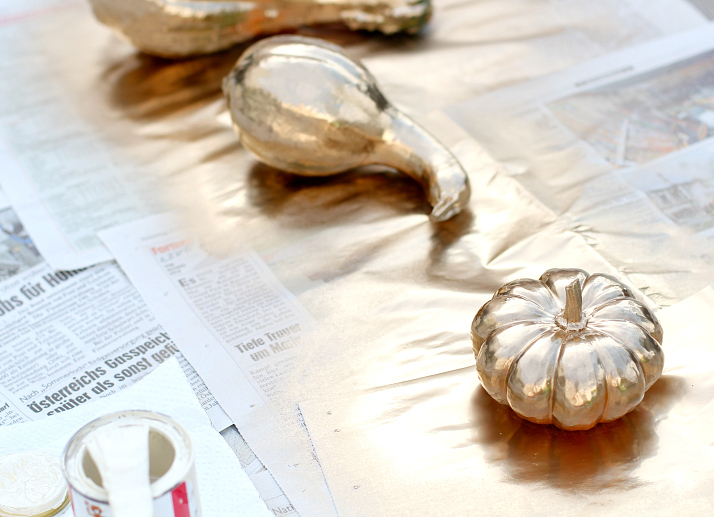 So, we decided to get out our gold spray paint and got busy on a fun little DIY just in time for Halloween. 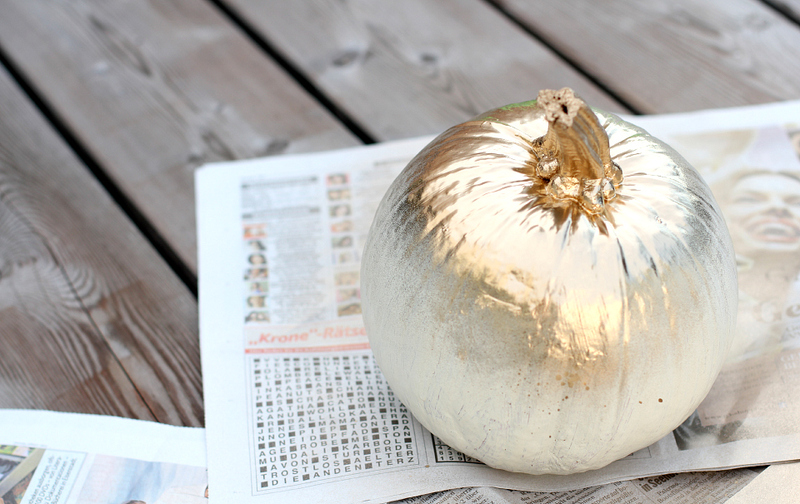 We recommend working with about 6-7 pumpkins of different sizes and shapes, of which half will be entirely gold, and the other half will have a ombré look to them. 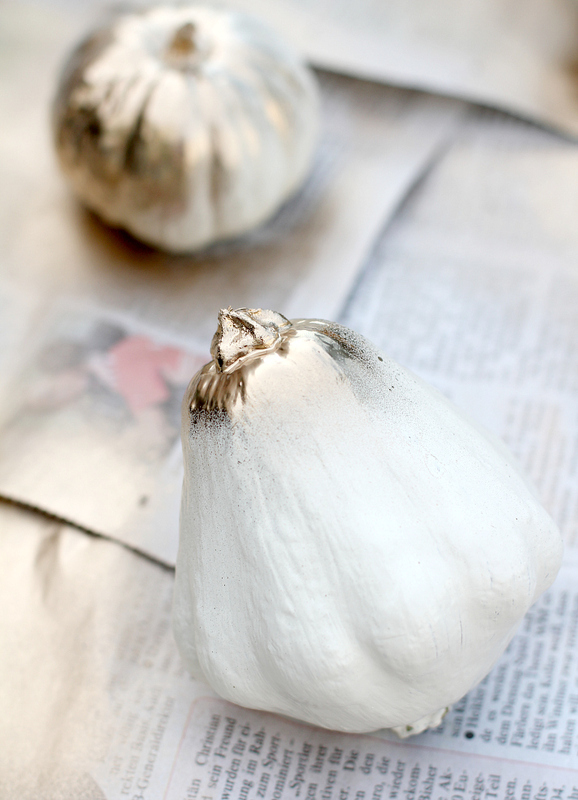 For the golden pumpkins, simply spray them with spray paint all over and let dry according to the instructions on the can – do the same with your fake spiders. 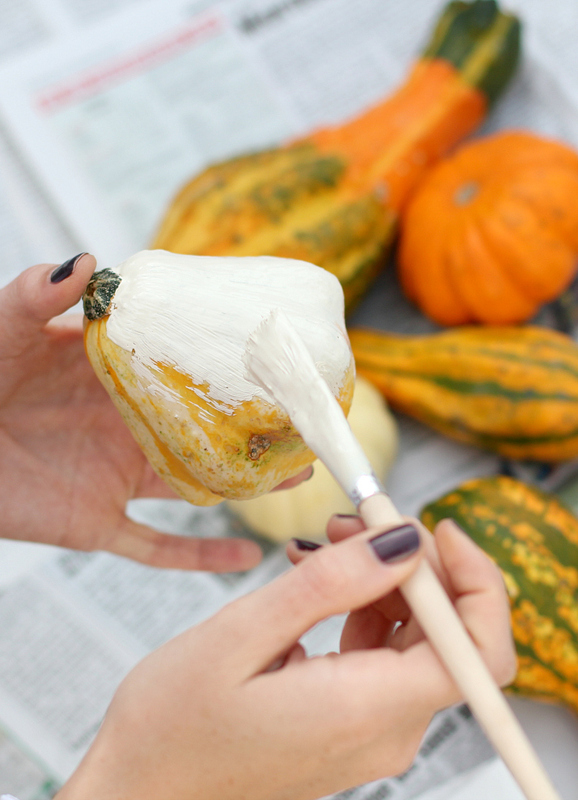 For the ombré pumpkins, paint the remaining pumpkins white all over. 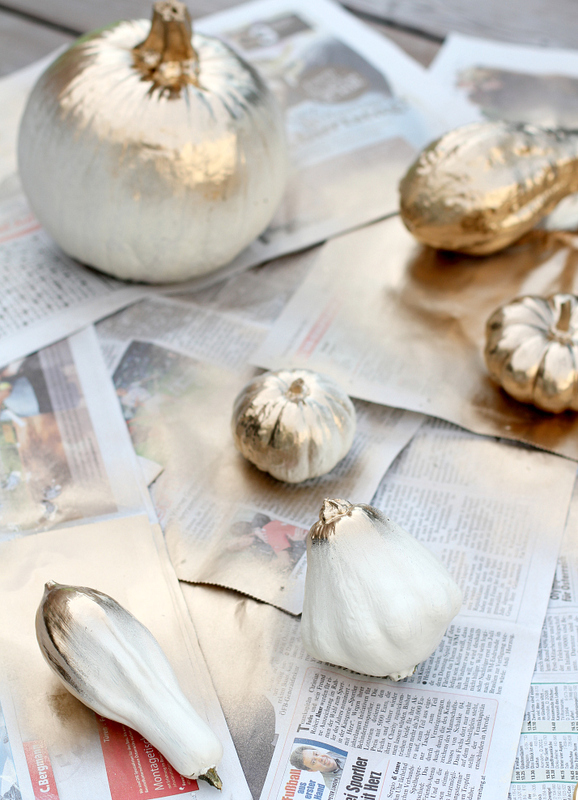 Once the paint is dry, spray them with gold from a distance to give them a golden touch on one side. 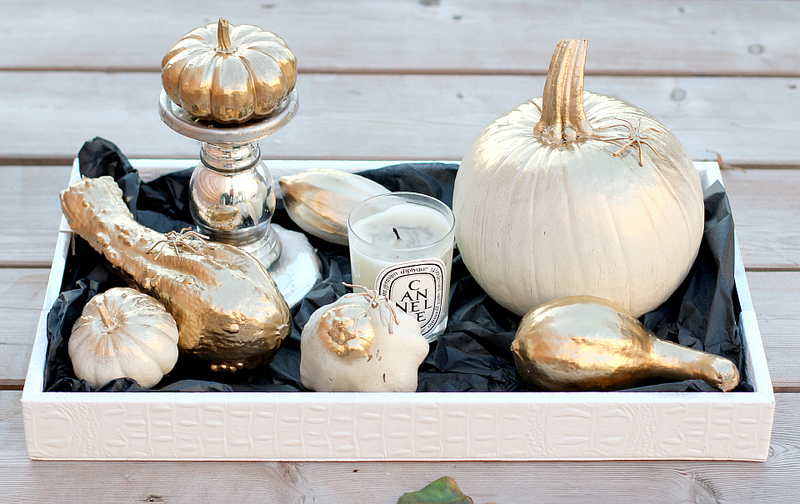 Then, prepare your tray with some black tissue paper (also a good idea just incase some of the paint is not all the way dry yet), and arrange the pumpkins, spiders and candles on it as desired. 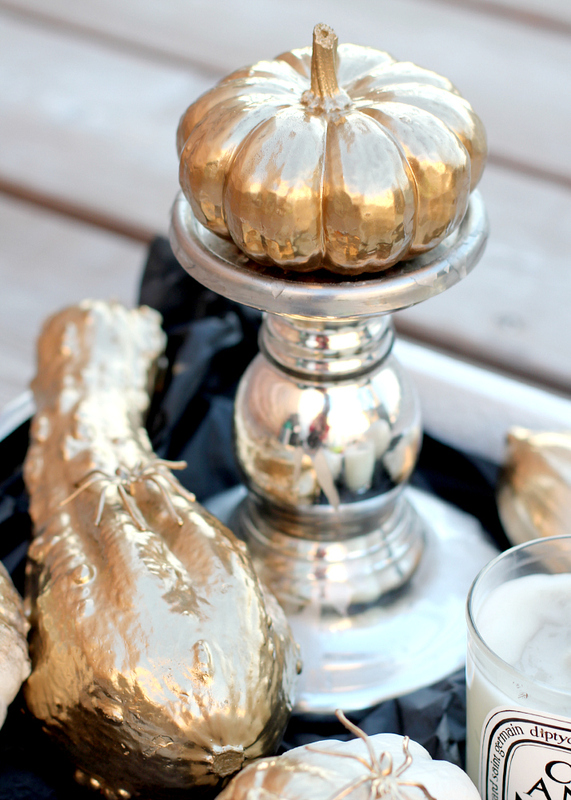 We currently have the glamorous pumpkin tray on display on the coffee table, but if you add some white roses it would also make for a great center piece on the dining table. 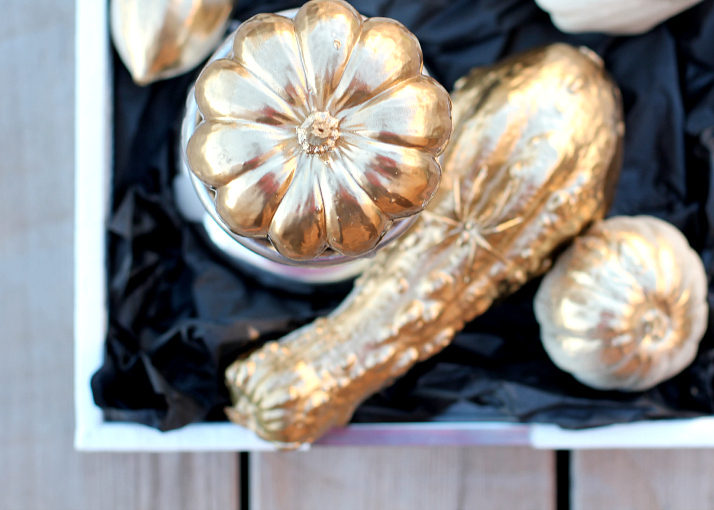 Very glamorous and definitely a different approach on Halloween decoration!!! Do you guys celebrate Halloween? Yess we do :) We love any excuse to get dressed up and drink some spooky cosmos! so cute! I may try this! !